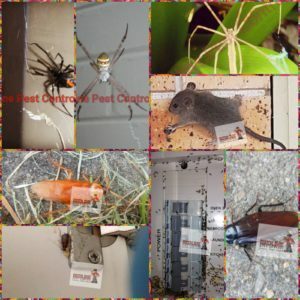 Spring has begun and as it is warming up so has the abundance of pest crawling in to your premises. This is the perfect time to have a general pest treatment done on your home to avoid an infestation occurring in your home. With Bees and Wasps swarming through your yard and your little ones out playing in the fresh air this could be a hazardous as they pack a painful sting and in some cases the sting has been known to give some people an allergic reaction causing fits, rashes, welts and in some cases even cause a person’s air way to close and stop breathing. While cockroaches breed all year round they tend to breed at a rapid rate in the warmer months. Cockroaches breed every 3 to 6 weeks and will usually have anywhere to 30 to 40 eggs in their capsules and if you multiply that with how many female cockroaches you already have, you could have an infestation before you know it. Cockroaches carry a bacteria that can be harmful to not only yourself but to your love ones too. Cockroach droppings contain the Staphylococcus, Salmonella and streptococcus virus. Silverfish love warm dark damp places like your bathroom, kitchen, basements and boxes you may have stored in your premises. While Silverfish are not harmless they can cause havoc by eating through your clothes, Cellulose, carbohydrates, shampoos, books which have glue binding, sugars and starches, linen, silk, cotton and dead insects. Let’s face it we all hate spiders and with spring here now are the time for spiders to come out and play. Whether the spiders in your home are non-poisonous or poisonous we never want to put our love ones at risk of been bitten. Being on the receiving end of a spider bite is no fun at all, while some spiders have no poison in their bites they can leave a nasty bite which can cause an infection which could lead to amputation of where the bite took place while poisonous spiders can lead to death if not treated in a swift and prompt manner. Unfortunately no home is safe when it comes to an infestation of Rodents, Rats and Mice not only breed prolifically but they are disgusting to have around, also bring bacteria sickness and diseases which will harm your loves ones. Rodents thrive when there are food sources, water and shelter. What are some of the signs that will indicate that you have a rodent problem? Scratching noises in the roof, droppings around your premises, darkish run marks on walls and plumbing pipes, damages to food packaging, skirting boards and cables been eaten through.